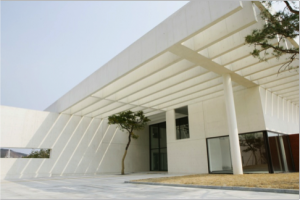 Join us in Daejeon and Seoul for Museums and the Web Asia conference: October 7-10, 2014. Museums and the Web connects an international network of leading museum innovators. MW’s annual North American conference is the largest in the museum technology field. Over the past three years, Museums and the Web has convened in Asia to extend its lively community. MW conferences offer many ways to participate, from presentations and demonstrations to workshops, tours, and interventions from digital artists and makers. The annual procedings of MW conferences have been freely available online since MW’s founding in 1997 and represent one of the most extensive and important repositories of global knowledge, innovation and best practice in digital applications for the cultural sector. This year MW Asia will be held in Daejeon and Seoul, South Korea from Oct 7-10, 2014 in partnership with the Lee Ungno Museum, which is celebrating 110 years since Goam Lee Ungno’s (1904-1989) birth. The Museum showcases Goam’s life time achievement in art. Museums and the Web is hosting a special symposium program with Lee Ungno Museum on Conference Day 2 in the afternoon. After the two day conference, there is a day of conference tours from Deajeon to Seoul on October 9 and workshops at EWHA University on October 10. Local Committee consist of prominent leaders from various cultural institutions in Asia. Local Committee help the conference in many ways – market the conference, look for the funding, organize the local arrangements such as receptions and tours, advise co-chairs with direction of the program, etc.